Whenever the sun comes out the bees are busy. 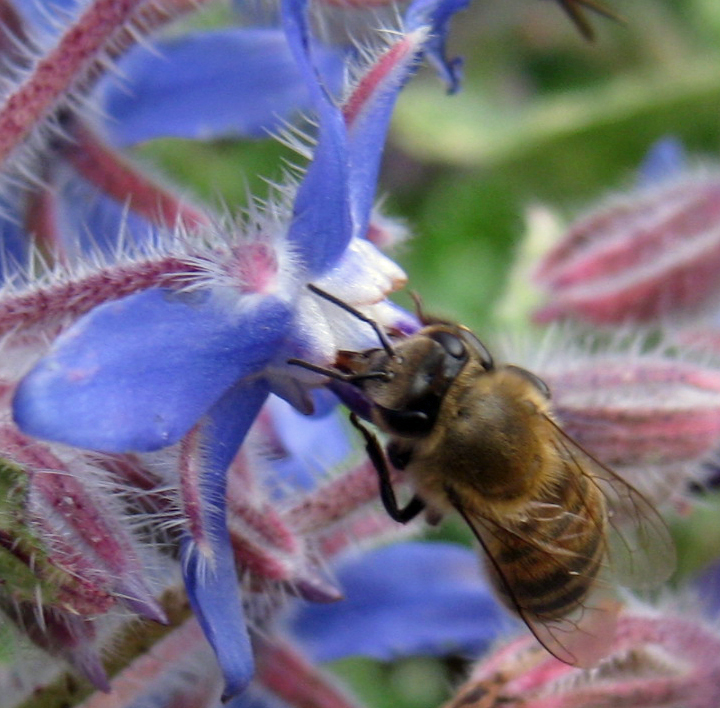 They are always in the borage, which reseeds itself in our yard and grows like a weed. One day I tried to see if there was any pattern to which flowers the bees were interested in. 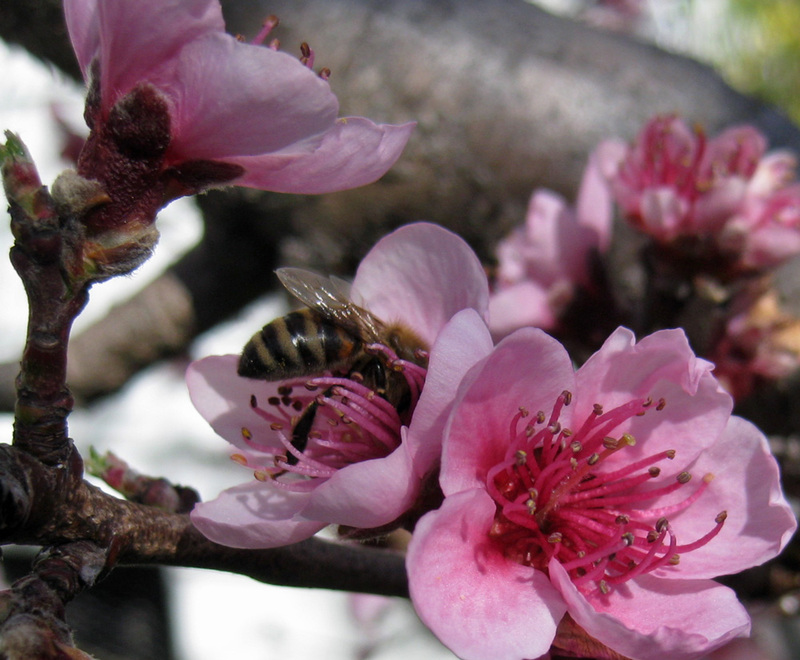 What I discovered is that the peach tree flowers only attracted a little attention. It was the broccoli that I allowed to flower that they were most excited about. 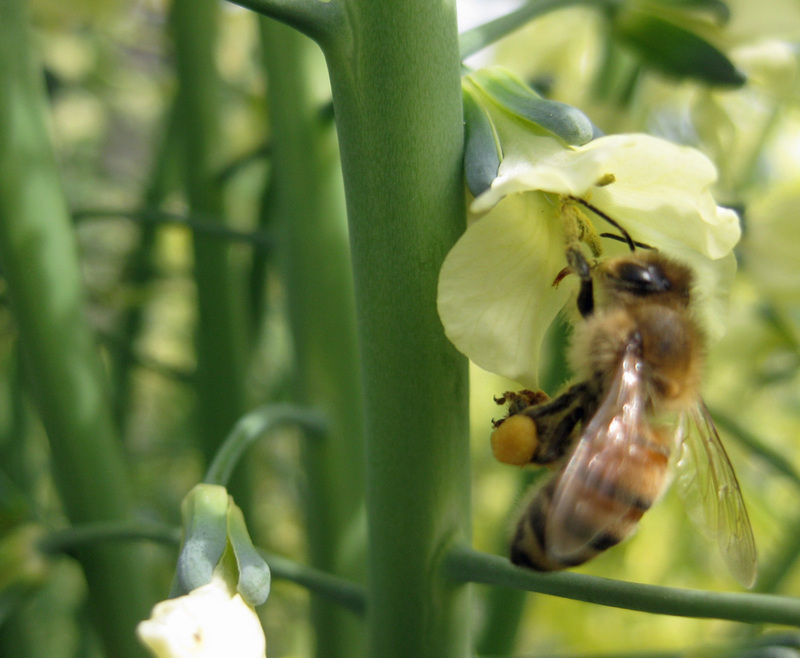 Who knew that bees like broccoli? The biggest surprise was in the hives. All three hives have been very busy. We’ll be able to harvest (steal) honey soon. And where there isn’t honey, there is the whitest comb I’ve ever seen. 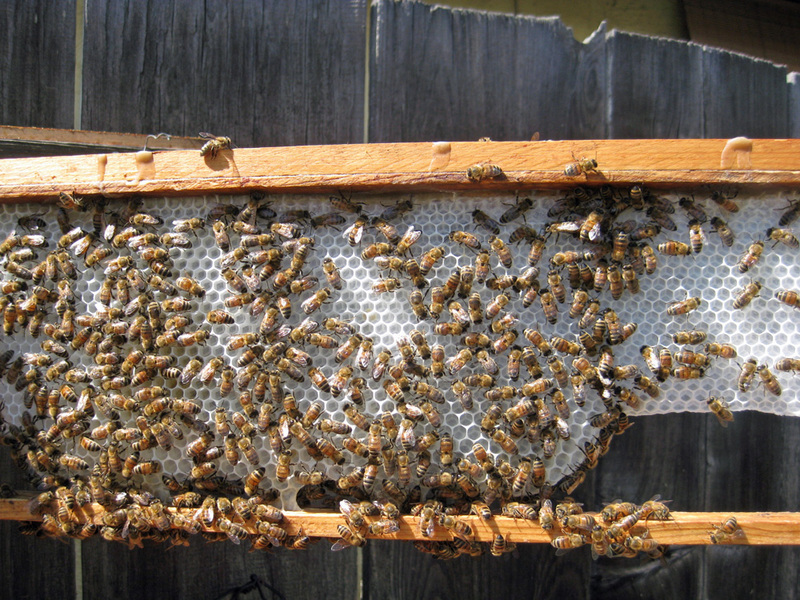 A frame of white wax and bees. Just in case anyone thinks it's a trick of the lighting, here's a view of the white wax from another direction. 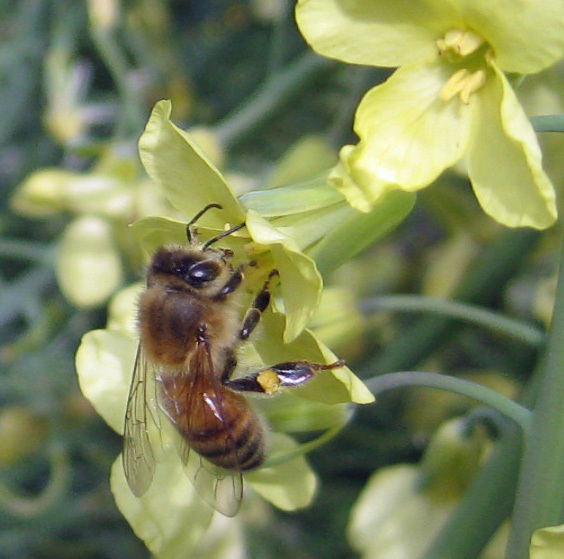 I’ve heard that the wax usually gets it’s yellow color from the little bees feet. If so, these are the cleanest bees ever! 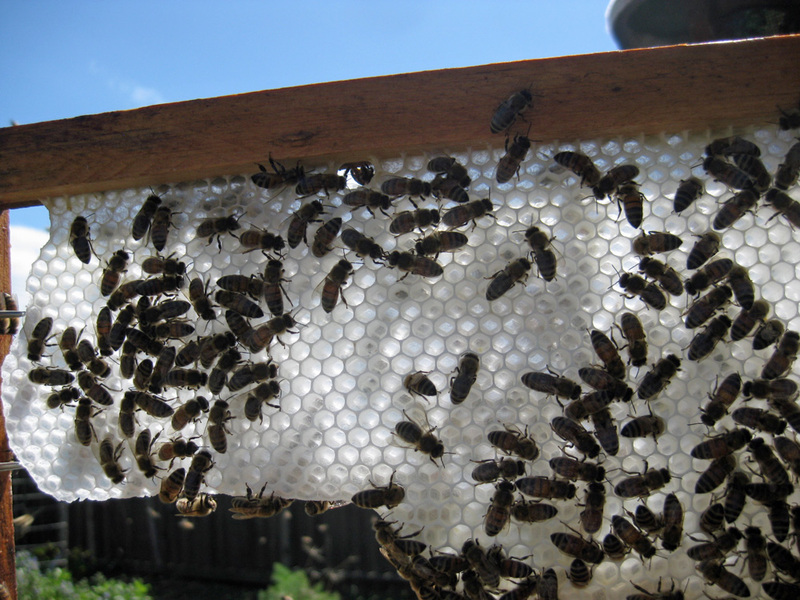 This entry was posted in Bees and Honey and tagged beekeeping, bees, honey, honeybees, Lanora Cox, urban beekeeping. Bookmark the permalink.